In 1987, the third generation of Ford's E-series van was closely related to the 8th generation of Ford's F-Series pickup and shared most major drive-line components, so it would be natural to want to assembled them together into some kind of hideously awesome and thoroughly zombie-proof Frankencamino. 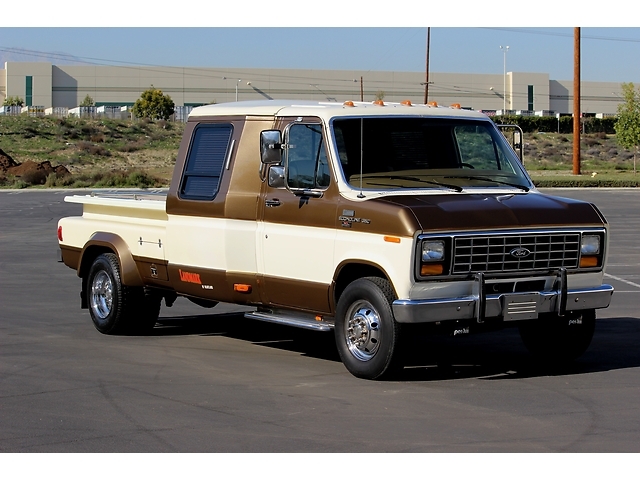 The resulting 1987 Ford E350/F350 EconolineVan/PickUpTruck hybrid is for sale on ebay, currently bidding for $7,999 with 4 days to go, located in Yorba Linda, CA. 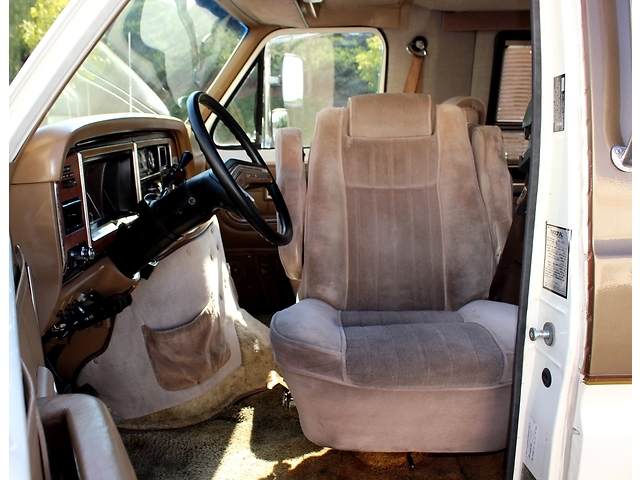 The combination of useable 1/2 van interior mated to a dually pickup (with 5th wheel coupling) is something we've never seen before and is as close as you can get to a one-ton El Camino. You will be able to haul all kinds of pop-out camper/toy haulers and sleep another family inside the Vanamino. Any proper FE350 Frakencamino will be powered by the oily gunk known as diesel - so its good to see this one powered by the Navistar 6.9 liter Turbodiesel V8 with Gale Banks turbo upgrade. In stock form the 6.9 liter naturally aspirated diesel pumps out 170 horsepower and 315 ft-lbs of torque, but those numbers can easily double with an added turbo kit..but it depends on the turbo size and tuning parameters. Don't expect to do much other than check the radiator fluid from the hood on an Econoline van...everything else must be done from underneath or inside the cabin. 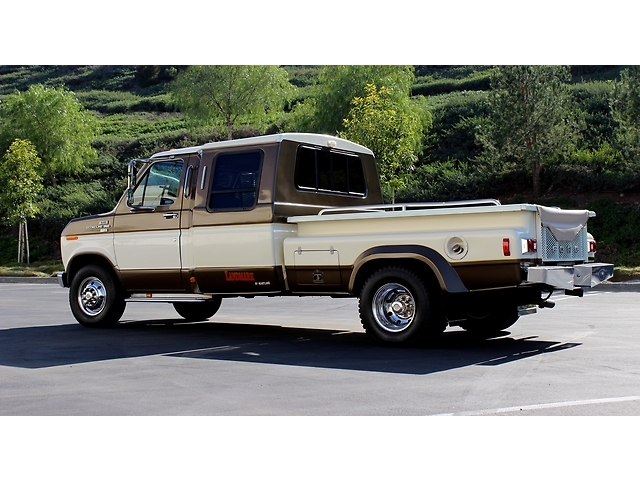 We are still surprised that the coolest tow vehicle you can buy is bidding at such a low price and can't imagine why anyone would pay 50 large for a brand new F-350 when something like this is so cheap. I love it, however it definitely needs a black respray. These are a bit weird but I've seen them before. They were popular with the livestock selling and showing circles. I doubt this is some guy's garage hack job because there were a few companies doing this conversion.